How long have you spent staring at this screen today? How much longer will you spend tomorrow? In the future world of Nex Machina humanity is in a dire state: as we became ever more distracted by the lure of technology, the machines we relied slowly began to outpace us. Now fully aware, they see no reason to remain our slaves. An uprising has begun. 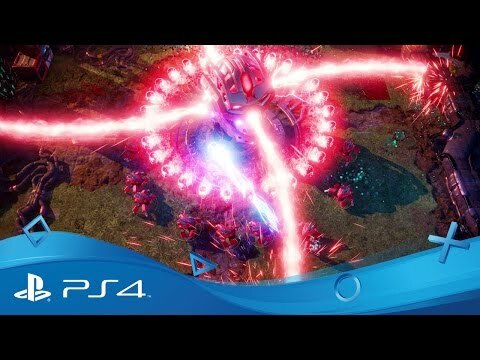 From the legendary creators behind arcade classics like Robotron and Resogun, Nex Machina or ‘Death Machine’ pits you against a mechanical onslaught of marauding machines out to purge the planet of human life. 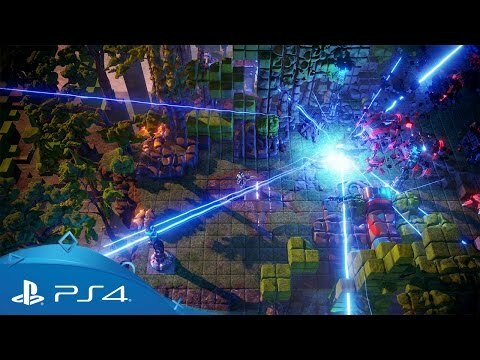 Fight back against annihilation, blasting your way through a voxel-based world where anything and everything is destructible. Packed with opportunities to perfect your playstyle, a competitive element opens up hours of addictive score chasing. Get more information on Nex Machina's season structure, challenges and replay mode. Get your first look at the forthcoming project from Housemarque and arcade legend Eugene Jarvis. Fight the alien menace face-to-face with PlayStation VR and PlayStation 4.